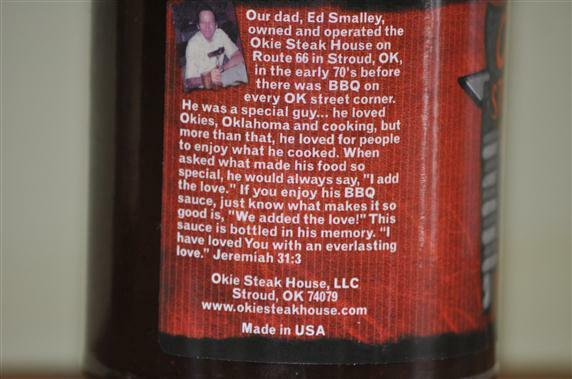 When I first heard of and saw this bottle of BBQ Sauce from Okie’s Steakhouse, I was a bit skeptical. 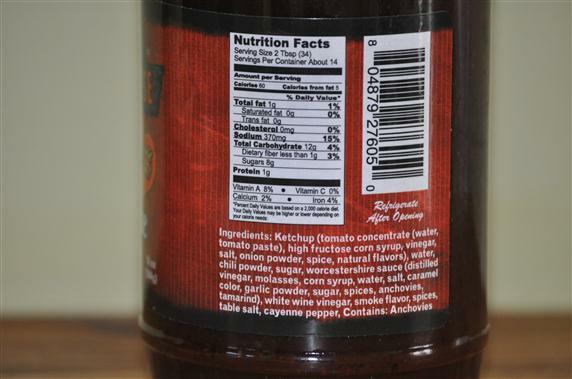 I’ve had other BBQ Sauces from companies known for “steak sauce” and I really didn’t care much for it. So my expectations were very low. But when I tried this sauce, and then cooked with the sauce, I became a believer in this salty little number with a bite. Yum (this is my grill pre-GrillGrates). Nice dark color with SPECKS. Loved the dark color and appearance of this sauce. Here’s a spider chart that shows how I thought it tasted. Thick, salty & spicy, with a mix of sweet, tangy and smoky flavors. In the end, the sauce flavor surprised me but seemed to suffer a bit from just a few too many ingredients. The end result is still tasty enough to be considered a 4 and if you like a sauce with a nice salty “bite” then you gotta check this one out. 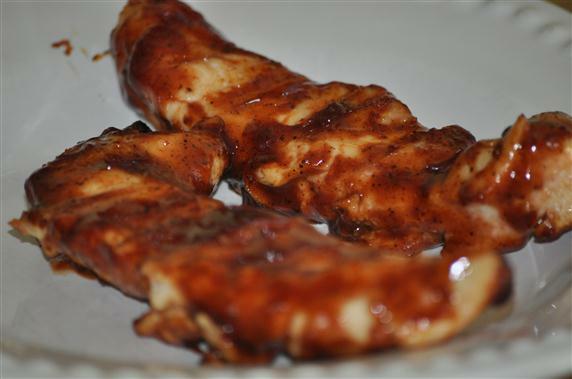 It’s a worthy sauce with a salty bite and a good amount of complexity and a good cause – a dedication to a past father and owner of a successful steak house which became known for its great BBQ ribs. Check out their website and consider giving this sauce a try! 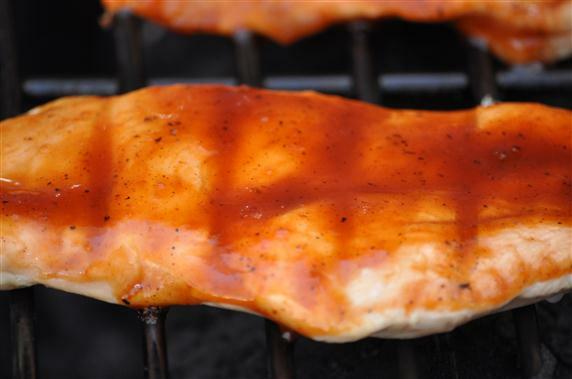 Check out the June 2012 issue of Southern Living Magazine and read about Okie Steak House BBQ Sauce. I’m digging the spider chart!